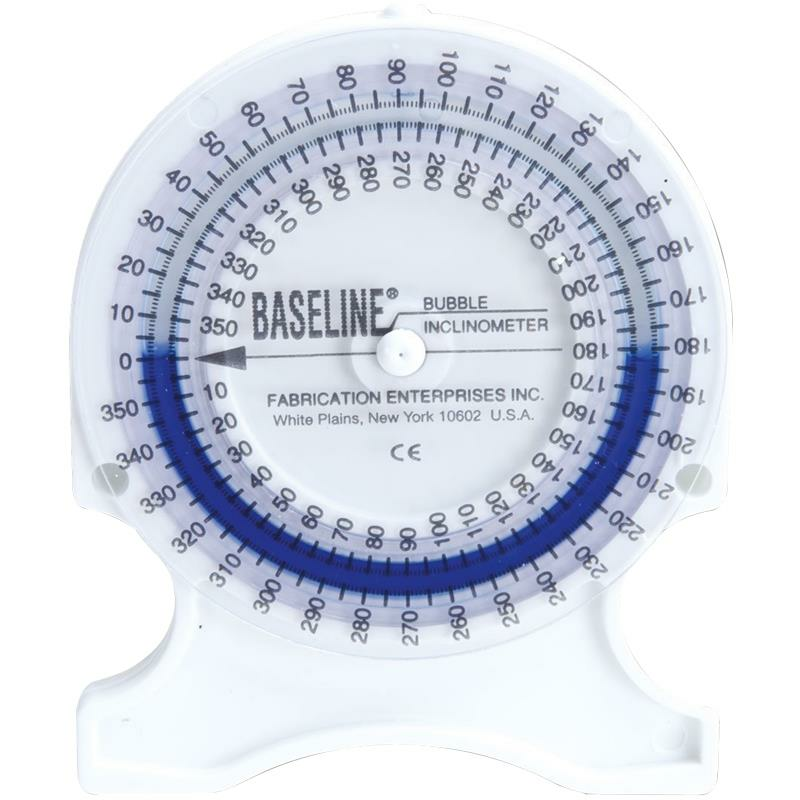 Baseline Bubble Inclinometer accurately calculates the range of motion (ROM). Range-of-motion can be measured from the neutral position to give a reading of flexion, extension, abduction, adduction, pronation, supination, dorsiflexion, plantarflexion, etc. or it can measure the entire range to yield a total range-of-motion of the joint. Measurement techniques of this inclinometer are codified in the AMA guide to the evaluation of Permanent Impairment, third edition.